Most homes have troubled areas that are sometimes difficult to heat and cool. But in some homes, you don't need to necessarily heat or cool every room, especially rooms that aren't used regularly. A Mitsubishi Electric ductless heat pump puts you in control of every part of your home. You can create separate zones and heat or cool them to any temperature that you like. Because they're ductless, installation is as easy for new construction and additions as it is for retrofit projects or to supplement an existing forced air system. Sound good so far? Well keep reading! With an ordinary forced air system, you get a burst of cold air from the register before heated air makes its way through the ductwork and into the room. But not anymore! Mitsubishi's Hot-Start™ technology eliminates those uncomfortable cold shots of air by only turning on the fan after the unit is at the right temperature. What's also great? You won't lose heated air traveling through ductwork, and your mini-split won't have to work as hard. This new technology will help you save on energy costs! All heat and air units have filters, but Mitsubishi's filtration system is something different. First, there's a standard, washable filter that you can reuse for ten years. Second, the outdoor units have hybrid Catechin and blue enzyme filters to remove more allergens. For the highest level of allergen reduction, there's Platinum Catalyst filter, which helps remove odors. These filters will have you breathing in fresher and cleaner air in no time! Ever realize some parts of your home have hot or cold spots? It's something many home owners either live with or use a space heater or window air conditioner to resolve. Drafts from windows and doors are special problems in winter. But the i-see™ sensor technology consistently scans the room looking for problems such as those cold spots. When it detects an irregularity, it automatically adjusts the temperature and the airflow to correct it to what you prefer. You won't have to worry about reaching for the remote to adjust it yourself, this awesome technology will take care of it for you. One of the most common concerns about some heat pumps is that they don't work as well in colder weather. In extreme cold, some models might not work at all, especially if they're older. But that's not the case with Mitsubishi Electric's H2i® technology. Available on select models, it enables a mini split to keep your home perfectly comfortable, even if the temperatures outside plummet to -13º F.
Mitsubishi Electric's ductless heat pump is the most advanced system in the world. 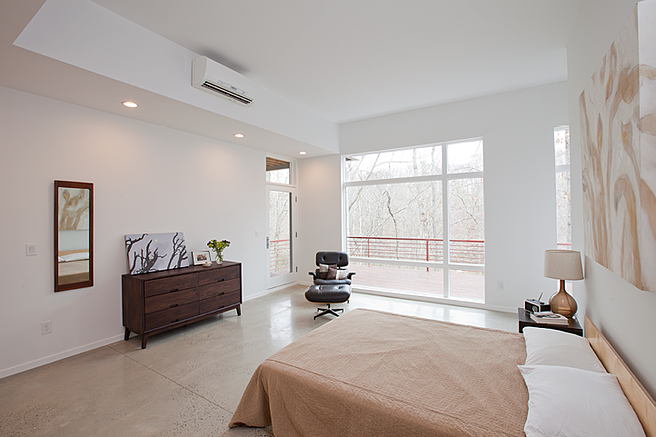 It's smart, efficient, and easier to install than any other traditional heat and air unit on the market. With a mini split, you'll get true control over the zones in your home, no blasts of cold air in winter, and advanced allergen reduction, too. And even in areas where winter is brutal and summer is no picnic either, you can count on this technology to keep your home and family comfortable year round. 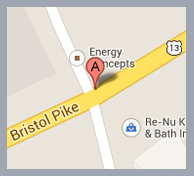 We're only a phone call away! So give us a call at 215-245-3200 and let's get started today. If you would like to learn more information about the Mitsubishi ductless system, just click our link below!